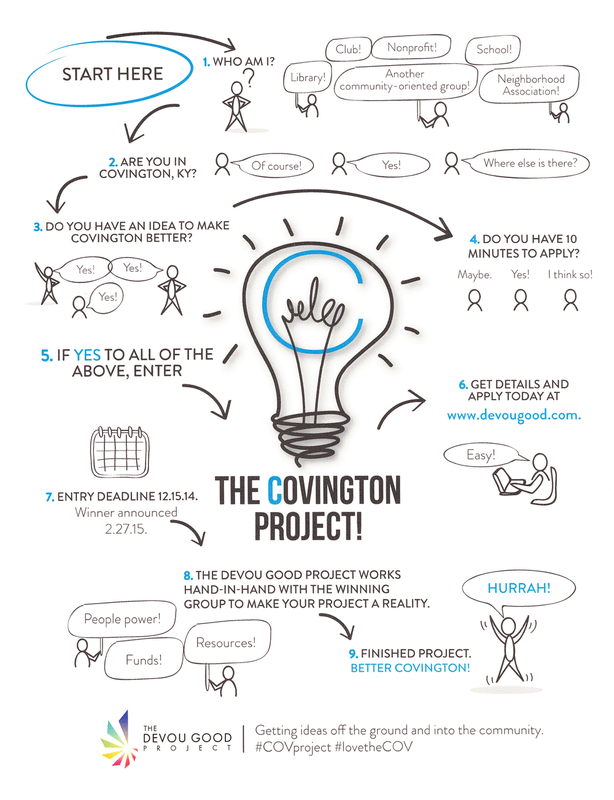 In honor of Covington’s Bicentennial, the Devou Good Project Inc. has furthered its mission to help the city thrive by inviting nonprofits and other community-based groups to enter The Covington Project Contest. The contest seeks to help qualifying organizations get a community betterment project completed. The project is open exclusively to groups with ideas that will benefit the community of Covington, Kentucky such as festivals, awareness campaigns, school initiatives, beautification projects, park space and projects that come to the aid of people directly. The DGP does not issue grants, but instead provides expertise, labor, management and materials to make the winning project(s) become reality.